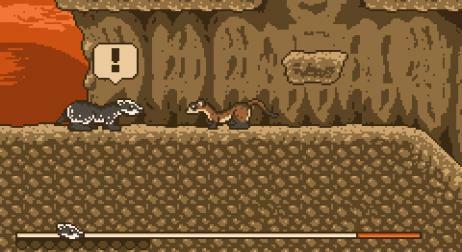 Blackfoot is a platformer with a weasel. The gameplay consists of swirling around the woodlands, collecting eggs and killing an animal for eating purposes at the end of each level. It also has light RPG elements which means that you get experience points that you can spend on abbilities like Speed, Acceleration and Jump.